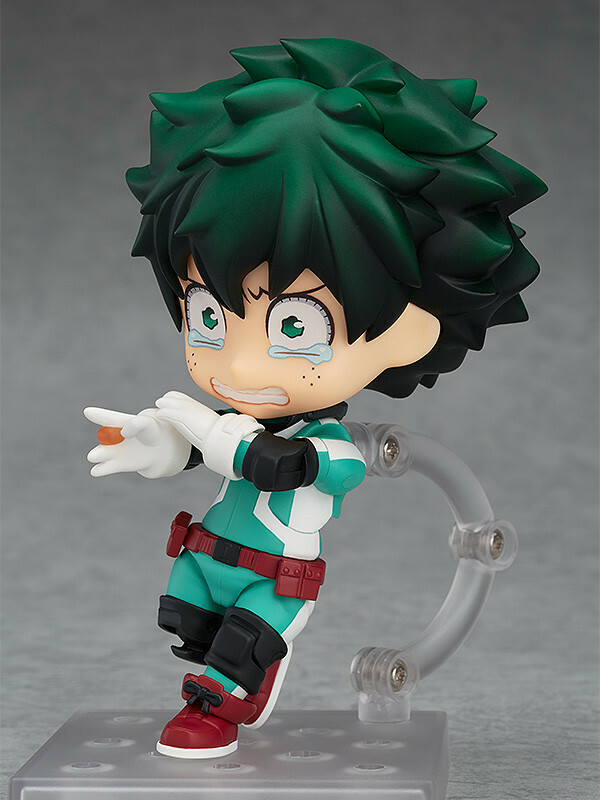 "I'm the Deku who always does his best!" 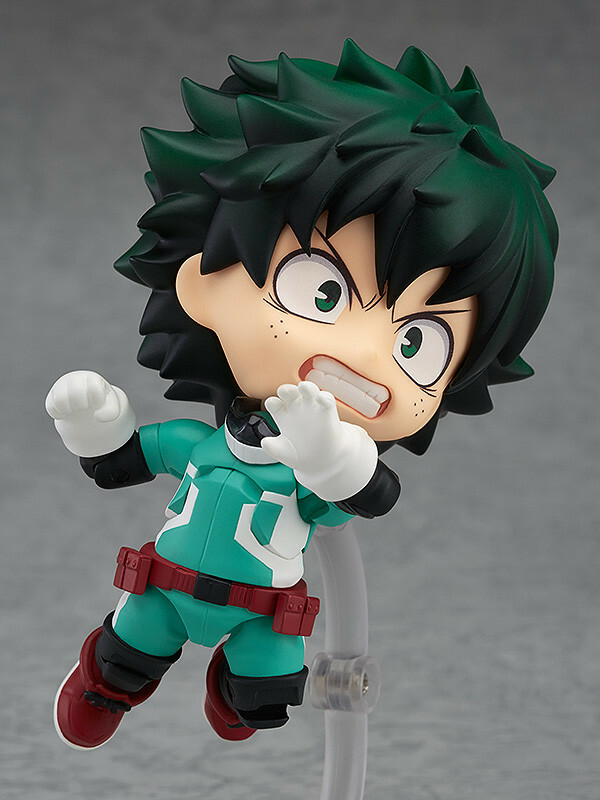 From the popular anime series 'My Hero Academia' comes a rerelease of the fully articulated Nendoroid of the main character who dreams he will become a hero - Izuku Midoriya! 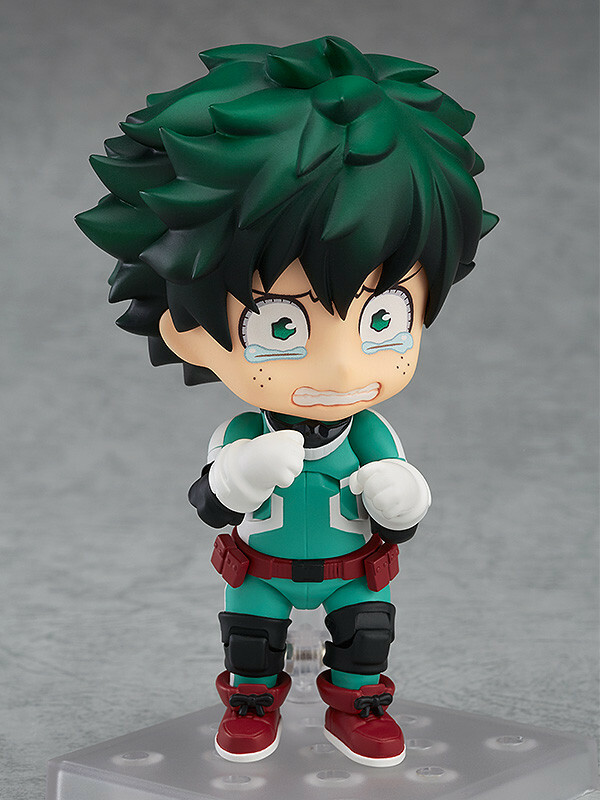 He comes with three different face plates including a standard gentle expression, a hesitant crying expression as well as a combat expression for when he decides it's time to be a hero! 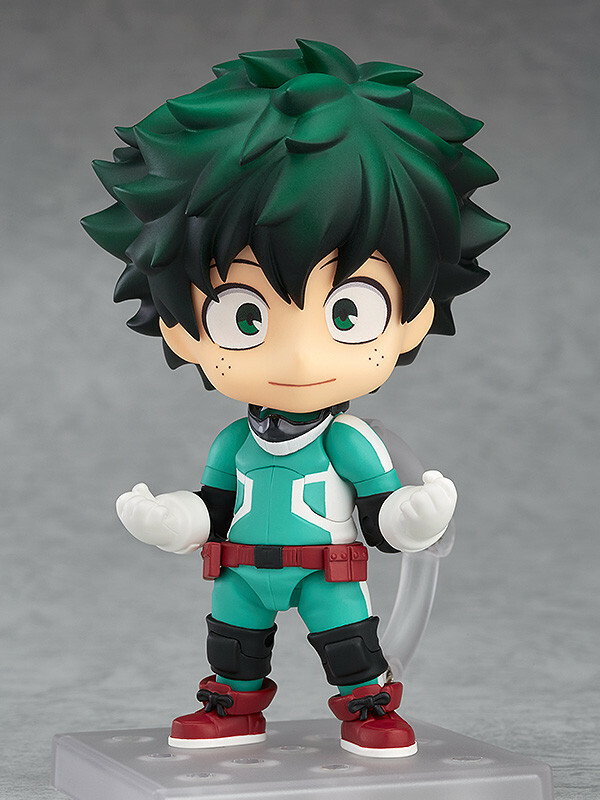 His unique green jumpsuit has been faithfully shrunk down into Nendoroid size and he also comes with special glove parts to pose him using his 'One For All' Quirk. A 'SMASH' sound effect plate is also included to bring even more life to his action poses! Recreate your favorite scenes from the series!